Mission: The Waterloo Minor Soccer Club mentors youth as they engage in an active lifestyle, learn life skills and values while they pursue their goals. The Waterloo Minor Soccer Club was founded in 1971. 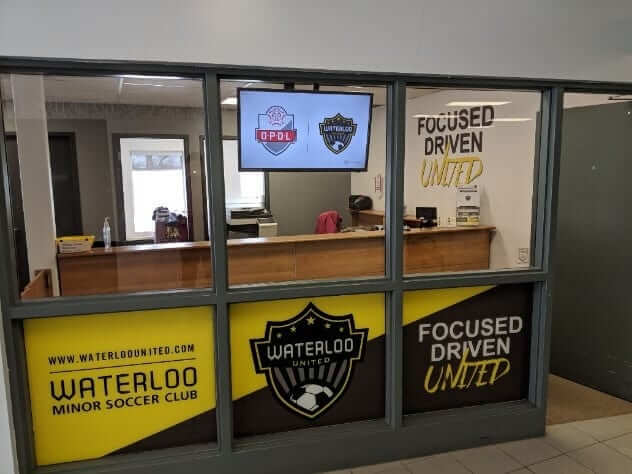 The philosophy at Waterloo Minor Soccer has always been to provide a positive learning environment with excellent programs, staff, and resources while influencing the ‘Beautiful Game’. The programs that are offered allow an opportunity for children and adults within the City of Waterloo to participate in the world’s most popular game. The sport has grown significantly in Waterloo. From the club’s official beginning in 1971, registrations swelled from fewer than 60 to 1050 in ten years. By 2004 they surpassed 4,400, and by 1998, soccer fields hosted more players than hockey rinks or baseball diamonds. In fact, more children were and continue to be enrolled in organized soccer than any other minor sport. They also start earlier, Soccer is the only organized team sport for children younger than six in Waterloo. Soccer growth has been possible because four key groups have shown unwavering enthusiasm, perseverance, and support. First are the countless volunteers and staff who manage, coach, referee, convene administrator, raise money, shepherd players, and otherwise help the club every year. Second, are the people within the City of Waterloo who support the soccer programs and help ensure that players have the necessary facilities. A third group has also been steadfast in it is support – The many local businesses that help provide such things as uniforms and equipment through their sponsorships. Lastly, Without the support of the local boards of Education, there would have been an even more critical field shortage. Our head office is located at Rim Park with our technical office at Bechtel Park, both locations are used for games. Rim Park has a total of 11 outdoor fields, with two being composed of artificial turf. Bechtel has a total of 10 outdoor fields. The Waterloo Minor Soccer Club provides programmes for children 4-18, including 19+ women and men’s teams. Players have the opportunity to compete in our recreational, select or representative system. Waterloo Minor Soccer Club has made and continues to make a meaningful contribution to what is known around the world as the ‘Beautiful Game’.